Luke started at The Beacon as staff writer for opinion and quickly moved up, becoming assistant opinion editor in Spring 2016. He then served as assistant sports editor for the Fall 2016 and Spring 2017 semesters. Most recently, he served as the sports editor for the 2017-18 academic year. 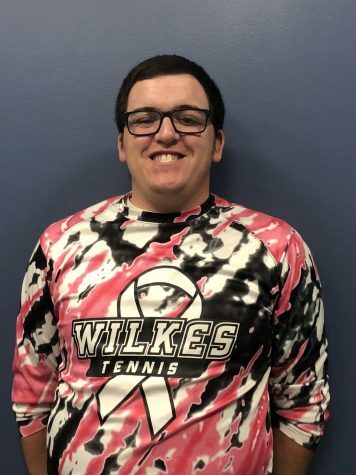 He can also be found at Wilkes athletic events working as a member of the home athletic event staff. A five-sport official, Modrovsky serves as an official for PIAA baseball, basketball, football, softball and volleyball. He also calls games for USA Softball, American Legion Baseball, and various Little League organizations. Luke has served as a public address (PA) announcer for Crestwood Football, the Mountain Top Blitz, the Wyoming Valley American Legion playoffs and a PIAA State Playoff baseball game. He continues to be the voice at select Mountain Top Area Little League All-Star games in the summer. A 2015 graduate of Crestwood High School, Modrovsky collected five varsity letters during his time as a student-athlete.